In particular, there is one heartrending scene when Jessi, the lead female character, is mercilessly blaming herself for her parents’ divorce. The Shame Wizard piles right on, saying “…was it worth it, Jessi?” Then he really goes for the jugular, saying “Also, you should’ve been more aggressive volunteering for Hillary Clinton. If you’d made a few more phone calls…who knows?” I laughed painfully hard at that because I’ve thought the exact same thing to myself so many times the last two and a half years! It took the absurdity of a middle school student’s imaginary enemy torturing her with that to make me realize how much it was weighing me down. And that’s where I think the Shame Wizard actually has something to tell us about the work of racial justice: this is a complicated topic and emotionally labor-intensive, and our shame, no matter how mercilessly it hounds us, is not particularly helpful in doing it well. Just as young Jessi’s guilt at not having done more to support Hillary was not helpful in her journey, much of the guilt and shame we each carry around regarding race and racism is not helpful on our journeys either. A shame-based approach is certainly not what anyone comes seeking in their spiritual community. 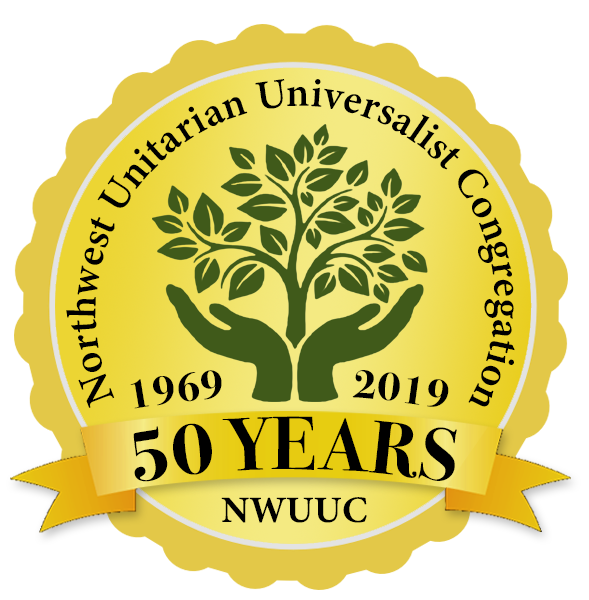 But in some ways, unfortunately, such an approach has characterized our anti-racism work over the last 25 years as Unitarian Universalists. One. All whites in America are racists. Two. No blacks in America are racist(s). They’re prejudiced just like everybody else, but they lack the power of institutional resources to force other racial groups to submit to their will. Thus they can’t be racist because racism in this conceptual scheme is defined as prejudice plus power. Do any of you remember reading the Journey Toward Wholeness materials or attending one of those workshops? They were hard to deal with! I was in high school and college while they were operating, and I remember feeling so frustrated and powerless as I absorbed this paradigm, it made me want to avoid anti-racism work in our movement. It was this weird tension of having grown up in a faith that taught me I was worthy, I was loved, but then at the same time was telling me that I, as a white person in America, was inherently a racist. I don’t entirely disagree with that point these days, but it was not a helpful entryway for me into the work of creating a more racially just faith movement. What could I possibly have to offer if I was a racist, and if I always would be? Being a good, white UU turned into a competition to see who could most thoroughly denounce themselves and their race. To see who could muster the most self-loathing, or the most disdain for the institutional racism embedded in our movement. It didn’t feel good, and it certainly didn’t feel like what I came to church for. It felt like we had betrayed the first Principle of Unitarian Universalism, and collectively turned the keys over the Shame Wizard. Thandeka’s second critique is summed up in this morning’s reading: we treat this work as though all white people have substantial institutional power and control in our country, even though only a small, wealthy elite truly have that direct power and control. The rest of us white folks have negative privilege, the “privilege” of not having our left hands cut off, to use her analogy. Being told that you have privilege and power, when in fact you are simply less-severely harmed by the existing power structure, is frustrating and leads to despair. We do all have power to create change, but it’s not the direct influence that today’s wealthy elite have, or that our Boston Brahmin Unitarian ancestors had. So, shaming us for failing to effectively use power that we don’t actually have is again going to cause despair and demoralization. Now, I think some of these critiques continue to be true of our anti-racism work as a movement today. It can still feel at times like we value denouncing ourselves more than we value effective work for positive change. I joked during a teach-in at my previous congregation that “we can never feel guilty enough,” but sometimes that feels like the reality of this work, like torturous, unceasing guilt is the only acceptable response for white folks to have to the realities of American racism. So, what is a better response? What is a healthier way we can work to transform ourselves and our faith communities? It begins with nurturing love and trust in our congregations. To make our spiritual homes places of spiritual sustenance. Thandeka herself is currently working on that mission with a program called “Love Beyond Belief”. Its goal is “to create openhearted spiritual communities that attend to brokenheartedness through acts of lovingkindness.” She continues “Each step in this faith development program begins with the discovery of connections that create awe, care, and joy.” She acknowledges that too often, UU congregations use guilt- and shame-based approaches to racial justice, and that we have to work from a place of compassion and trust. When you love and trust someone, you are not willing to let them ignore problems as big as institutional racism. So, you find ways to keep building capacity for racial justice work as you go along. This begins with reading, and self-education. We’ve had some good programmatic and congregational group reads of books about race and racism, and we need to continue that work. At the same time, we need to build up our compassion and trust within our congregation. The Shame Wizard is a relentless foe; his voice echoes in each of our heads whether we like it or not. Overcoming guilt and shame is a team effort, none of us can do it alone. When we are at our best, Northwest is a place where folks can come to process feelings of guilt and shame, and to feel more confident and positive as a result. Being at our best means we each take responsibility for letting go of unhelpful guilt as part of our own spiritual journeys. If you don’t have any guilt around racial inequality in our country, you’re welcome to borrow mine, I’ve got plenty to go around. Beginning to let go of it has been a great spiritual and emotional challenge, but I have come to realize that it is necessary if I am to be an ally and a conspirator to the work of collective liberation. I don’t think it’s healthy to shame people into tackling racism, but I’m not above stoking our competitive fires; I’ve joined with Methodist and Episcopal leaders in Atlanta on efforts for anti-racism and institutional change, and both those denominations in our city are well ahead of UUs in terms of training clergy and lay leaders. We’ve got some catching up to do, but we will get there. A couple months ago our Anti-Racism, Anti-Oppression, Multiculturalism Committee (A-R-A-O-M-C, or ARAOMC for short) discussed the best way we can help Northwest as a congregation deepen in this work right now. It was clear we needed education that was both informational and spiritual. And, to be honest, we were not sure we could get that from the Unitarian Universalist resources available to us. So, that is why we have invited Dr. Catherine Meeks, Director of the Absalom Jones Center for Racial Healing here in Atlanta, to lead a workshop for the whole congregation on Saturday, April 27th, from 9am to 4pm. Dr. Meeks does about fifteen trainings each year for the Episcopal Diocese, but she has worked with UU groups before, also, and has negotiated with members of the ARAOMC Committee what will be a helpful spiritual basis for UUs in this work. Dr. Howard Thurman, in particular, is someone whose teachings she plans to incorporate. What has been abundantly clear in talking to her about this work is that she brings an affirmational perspective, and seeks to help folks grow spiritually, not feel blamed and shamed. I am looking forward to the opportunity to deepen in this work in empathy and trust, and I hope you will join us on Saturday, the 27th; please don’t forget to register using the link in the newsletter announcement. “Why are we still talking about inclusivity and diversity when we have done so little to make them real? Why are we still looking pained about the lack of diversity in the denomination? Because diversity, inclusivity, is terribly hard, terribly uncomfortable, definitely unsettling, and often quite frustrating.